The European Bank for Reconstruction and Development (EBRD) is investing C$ 43.7 million (approximately US$ 32.7 million equivalent) in the development of the Krumovgrad gold and silver mining project in south-eastern Bulgaria to promote the highest industry standards. The Bank is acquiring up to a 9.99 per cent equity stake in the project developer, Dundee Precious Metals, an international investor active in Bulgaria and other countries. The company, listed on the Toronto Stock Exchange, specialises in gold and copper mining and processing. It entered the Bulgarian market in 2003 with the acquisition of the Chelopech gold mine. The EBRD has been supporting the upgrade and development of this operation, bringing vital investment and best practices to the sector. Expanding its activities in Bulgaria, Dundee Precious Metals is planning to invest US$ 184 million in the Krumovgrad open-pit mine, where the introduction of digital and technological innovation will transform key aspects of mining. The investment will enhance efficiency and safety through an advanced telecommunications system based on the “internet of things”, where equipment can send, receive and analyse data to optimise costs and manage risks. It will also pioneer an integrated waste-management facility, a high level of waste reuse and recycling, and a state-of-the art flotation process for ore processing and metal recovery. The mine is expected to be operational by the end of 2018. Mining, quarrying and metal processing are a key sectors of the Bulgarian economy. They account for around 20 per cent of the value of annual industrial output and 12 per cent of yearly exports. 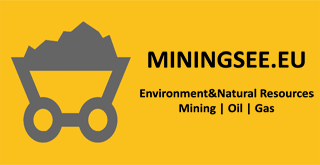 The mining and quarrying sector directly employs approximately 26,000 people and is a significant source of employment through related industries. As a shareholder of Dundee Precious Metals, the EBRD will work with the company to attract talent to sustainable mining in Bulgaria. The Bank will promote partnerships with local colleges and universities to introduce apprenticeship programmes and encourage young people to pursue mining careers. It will also promote employment and training opportunities for women in this traditionally male-dominated sector. Supporting foreign investors who bring technological innovation to the economy and provide employment, especially in regions that need an economic boost, is a priority for the EBRD in Bulgaria. In 2016 the EBRD has invested €620 million in the Bulgarian economy. In the years ahead, the Bank will aim to keep the level of investment at about €200 million annually in response to local demand. To date, the EBRD – one of the largest institutional investors in Bulgaria – has invested over €3.4 billion in more than 230 projects in the country. Some 80 per cent of the Bank’s investments in Bulgaria are in the private sector.